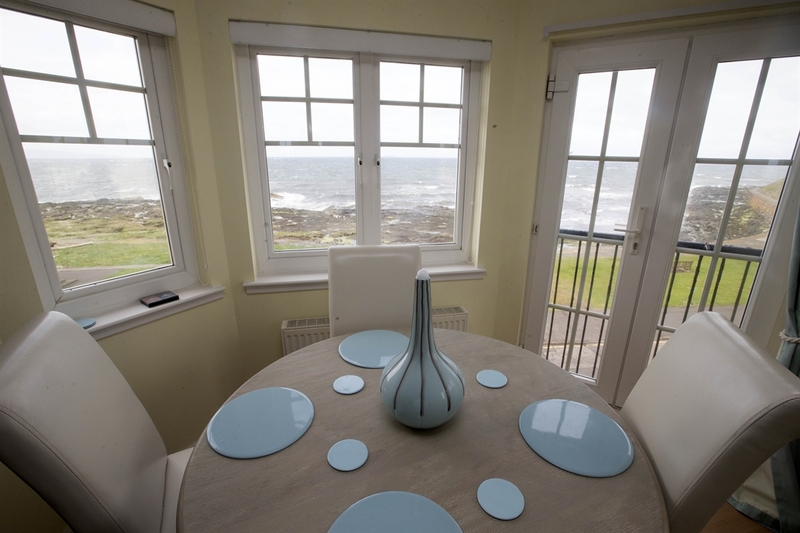 The two-bed apartment is perfectly-located near the beach, with stunning sea views. Royal Troon Golf Course (Venue for 2016 British Open) is a 20-minute walk along the beautiful sea shore. There are top-rated restaurants and bars nearby. The views from the living room/dining area, both bedrooms and the kitchen have to be seen to be fully appreciated. Troon is the jewel in South Ayrshire's tourism crown and the apartment is located in the most prestigious part of town. Luxuriate after a wonderful day marinating in all the delights the town and its surrounding areas have to offer.